Craniosacral therapy is a form of therapeutic touch that addresses imbalances in the craniosacral system — the membranes and fluid that surround and protect the brain and spinal cord. Relieving stress and pain through gentle touch, Craniosacral therapy helps restore the natural positions of the bones in your head, neck, spinal column and sacrum through physical manipulation. The theory is that the whole body responds to the rhythmical activity of the craniosacral system. 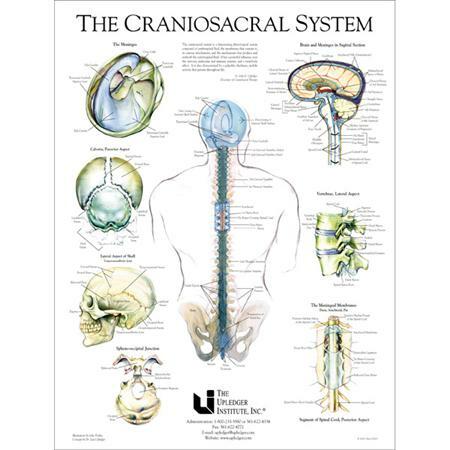 Manipulating the CranioSacral system provides relief of pain, stress and tension in the entire body. During a CranioSacral therapy session, a therapist senses subtle motions while looking for any restrictions impeding the free motion of the craniosacral system and various body regions, tissues, organs, and subtle energy systems.